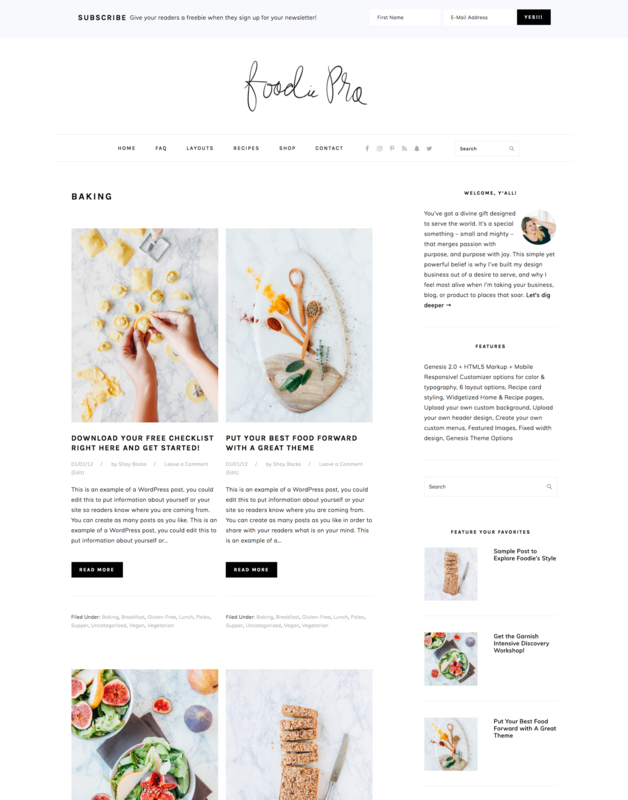 Configure the Foodie Pro Category Pages - Feast Design Co.
Navigate to Appearance > Customize > Theme Settings > Content Archives and find the content archives selection. For search engine purposes, we recommend that don’t display post excerpts or post content. This is because having the full content on both the category page and the post itself can be seen as a “duplicate content” issue. We also recommend you don’t display the “entry info” portion, which is the date and author information, on your category pages. Recipes are evergreen (meaning dates aren’t relevant) and the author information should be pulled from the post itself. How Can I Update to Version 3.0?